Namesake Coincidence? – Tell my story. Emmett Wilson Harrison (born January 31, 1913, in Okaloosa County Florida) and Emmett Wilson Strickland (born August 23, 1913 in Florida). Is it possible that Emmett impressed these parents enough for them to name their children after him? Although these are the only two, there may be more out there. In 1913, Emmett was the youngest U.S. Congressman in history at the time. He won his very first-ever political campaign by an overwhelming margin, beating two older, more politically experienced (and certainly wealthier) candidates. And just a few years earlier, Emmett was the youngest District Attorney in the United States. 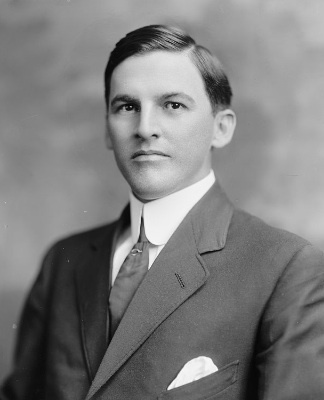 Although considered inexperienced by many older political leaders in Florida, Emmett was achieving tremendous goals for his youth. West Florida papers were depicting Emmett as the personification of a middle-class good boy, who was a go-getter, who worked hard, and succeeded against all odds. And indeed, this was one of the reasons why Emmett’s closest friends, Jennie and Walter Kehoe, named their youngest son Emmett Wilson Kehoe. “It was easy to see why at the time. They (Jennie and Walter) thought the WORLD of Emmett,” Mike Weenick told me, when I asked why his grandparents named his uncle, born in 1909 after Emmett. Why wouldn’t West Florida parents consider naming their sons after Emmett Wilson, in his honor? I’ll reach out to the descendants this week to see if they know the story behind their ancestor’s names. I’ll let you know what I discover, if anything.